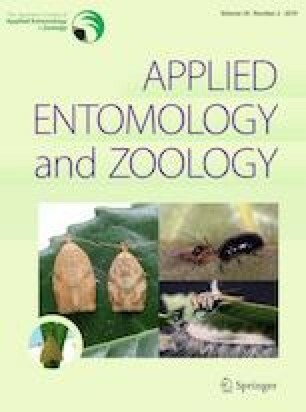 Because it is extremely time-consuming and costly to evaluate species richness of highly diverse taxa such as insects, cost-effective sampling strategies to estimate species richness are needed, especially when long-term monitoring is conducted. We found a sampling method that reduced the number of traps per site when estimating species richness of ground beetles (Coleoptera: Carabidae) in six forest sites in Sorachi, Hokkaido, northern Japan. We set 40 pitfall traps per site and collected ground beetles for 1-week periods in June, July, and August 2013. We evaluated the performance of three non-parametric species richness estimators [Jackknife2, Chao1, and the abundance-based coverage estimator (ACE)] to estimate species richness. Rarefaction curves showed that ACE was the only valid estimator to estimate species richness for all sites. Using ACE, we can reduce the number of traps to 30 or 20 from 40 traps per site if we allow a bias of 5 or 10%, respectively. This study suggests that non-parametric species richness estimators are useful in estimating species richness of ground beetles with reduced sample size. The online version of this article ( https://doi.org/10.1007/s13355-019-00617-1) contains supplementary material, which is available to authorized users. We thank the officials of the Fishery and Forestry Department of Hokkaido Prefecture and the local branch of the Sorachi Forest Office for their help with the REFRESH project. We also thank A. Komatsu for sorting insect specimens. This study was supported by Mitsui & Co., Ltd. Environment Fund grant numbers R12-G2-225 and R15-0025 and JSPS KAKENHI grant numbers JP25252030 and JP18H04154.